Scaring people while pretending to be a banana sign... can you think of anything lamer? his penguin waddle is magnified by the elongation of the 'nana suit. love the way it jumps!!! Only in the good ol US of A would this be considered humerous. #10 that really makes no sense. 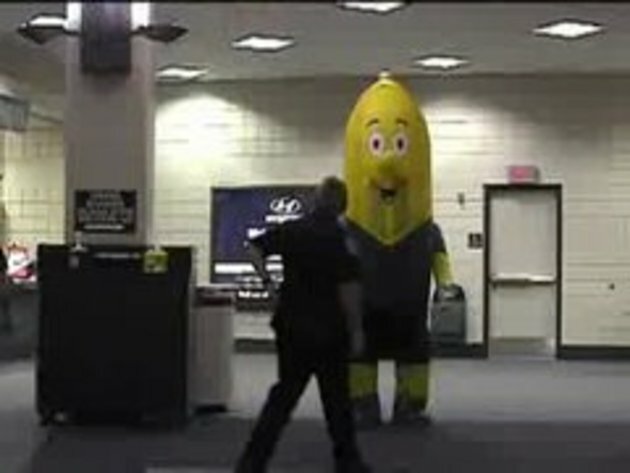 How does he move so quickly, when he scares them he jerks him damn banana head pretty fast!